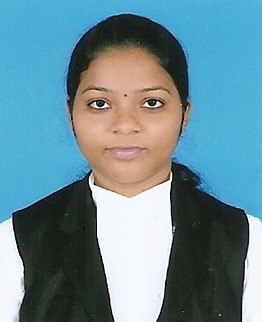 -	Participated in TN Dr. Ambedkar Law University (TNDALU) 2nd International Law and Inter-Disciplinary Conference on Climate Change Resilience and Disasters Conference and presented a paper on �Biodiversity and Climate Change� got published. -	Participated in TNNLS National Conference on Citizenship, Refugees and Human Rights in the Contemporary World at Tiruchirappalli presented a paper on �State Obligation Towards Refugees: Balance between Human Rights and National Interest�. -	Participated in All India Student Conference at Thirussur presented a paper on �India and Sri Lankan Trade Relations in SAARC�. -	Participated in One Day National Seminar �Marriage: Changing Trends� at University of Madras Department of Legal Studies, presented a paper on �Surrogacy � A Critical Study� at Chennai and got published with ISBN. -	Participated and published in the Journal 5th Independent Thought National Legal Essay Competition, 2016 on �Mental Health - Locating Rights of Children� with ISBN and got 10th place. -	Participated in One Day National Seminar conducted by Trichy Law College �Labour Outsourcing and Contract Labour System in India � Problems and Perspectives� and presented a paper on �Socio-Economic and Legal Status of Migrant Labourers� got published with ISBN. -	Participated in One Day National Conference on Alternative Dispute Resolution In India: Issues and Challenges conducted by VIT University and got published with ISBN. -	Participated in One Day National Seminar on �Goods and Service Tax� at TN Dr. Ambedkar Law University School of Excellence in Law, presented a paper on �Binding Nature and Recommendations of the GST Council�. -	Nandhini Voice for the Deprived announced All India Essay Competition on �Foreign Direct Investment controversy- What the College Students Think?� got 4th place and certificates.